Coming off a fourth-place conference finish last season, the Baker University women’s basketball team was picked to finish in the same spot in the Heart of America Athletic Conference preseason poll. Ben Lister will return for his third year as head coach of the Wildcats. Last year, during what he called a “transition year,” he turned the team from a six-win season (2011-12) to a 20-win program. This season, he thinks the team will build off of last year’s dramatic improvements and continue to succeed. The team is returning 10 players, including senior point guard BriAnna Garza who expects her teammates to hold each other accountable in order to clinch wins. Hodge believes the team works well together and can all hold each other responsible for playing their best during practice and games. 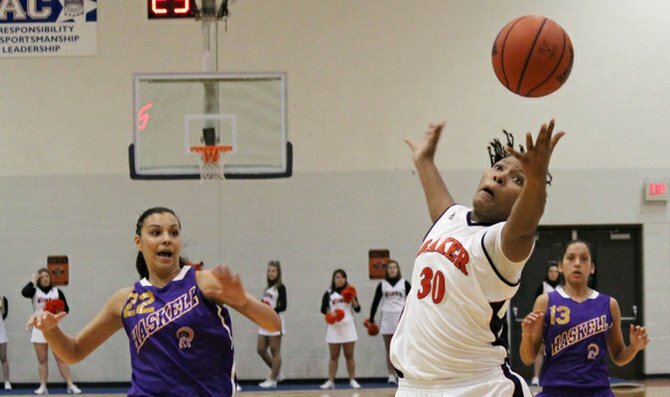 The Baker Classic will mark the opening of the women’s basketball season. The Wildcats will take on Tabor College at 7:30 p.m. on Nov. 1 in Collins Center.